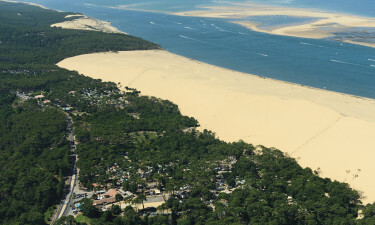 With a stunning location right on the ocean in the Bassin d'Arcachon, Pyla is the perfect place for sun lovers to stay. Let the team at LuxCamp take care of the details so that you can enjoy pure relaxation. People who can bear to tear themselves away from the sand will find that there are plenty of local attractions to explore during their camping holiday. People who want to get back into the swing of things can play a round or two at Max Golf, while Coccinelle Park boasts a number of rides and other attractions and is a great place for the little ones to let off some steam. Guests are Pyla will be able to stroll down to the sand from their mobile home and the special beach access means that there will be plenty of room to spread out. 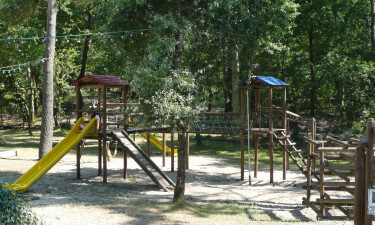 A number of activities are also organised here such as beach volleyball, kayaking and windsailing. 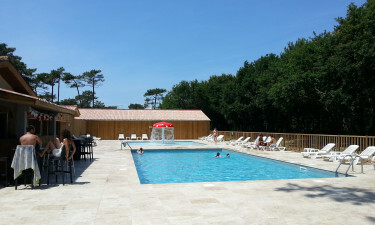 At the very heart of the site, guests will find two large swimming pools where they can splash around with ease. The smaller of the two pools is ideal for toddlers and features a mushroom-shaped water shower.